Calangute Baga Road is a comfortable stay situated in Baga, Goa. The hotel is located close to the two most popular beaches of Goa namely Calangute and Baga beach. The hotel is located close to Goa International Airport, Calangute Bus Stop and Arpora Bus Stop, which makes travelling easy. 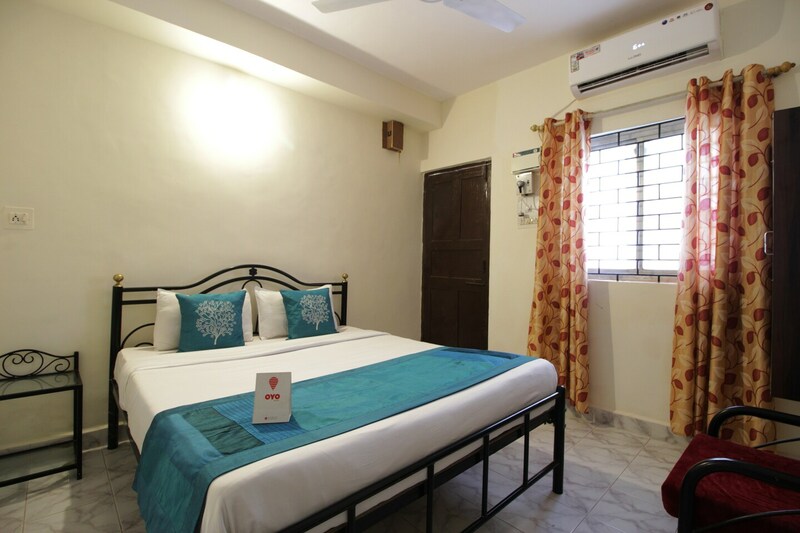 A homely stay with simple interiors and understated upholstery, the rooms provide a cozy stay for guests. The hotel provides amenities like free Wifi, AC, TV and CCTV cameras. A few markets around are Downtown Gifts & More, Ali Baba Enclave, Arabian Nights Private Limited, Valanka Shopping Mall and Orchard Stores.